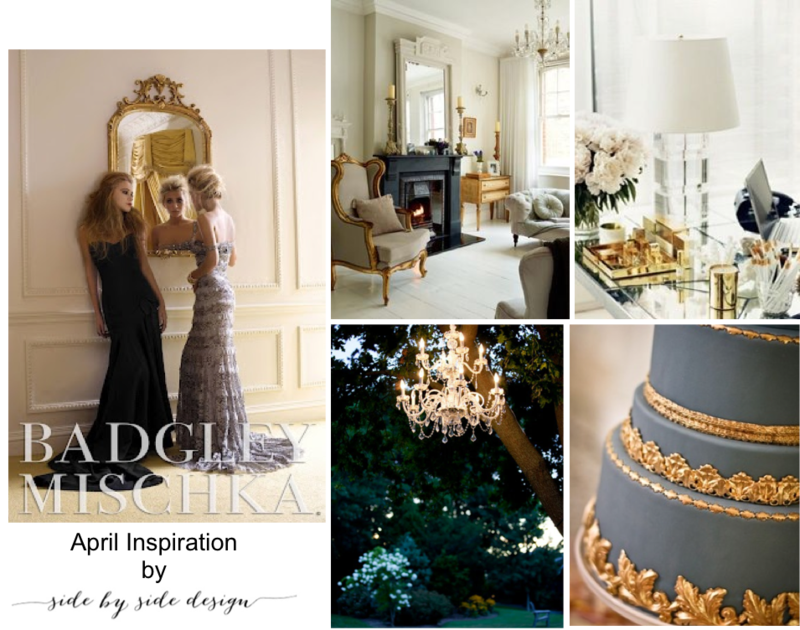 Interior Design – This has been an incredible year for the Interiors “side” of our business. We have been very lucky to have worked on lots of different types of projects including everything from “Apartment Therapy” to full construction and interior architecture. We have loved every minute of seeing the finished results and enjoy having this platform to showcase our work. We have expanded our Interiors section of our blog to introduce our readers to the “Before and Afters” of completed projects, the entire process of our many construction projects, and various furniture and room designs. We have had many incredible projects this year (including Lauren’s in-laws house which she worked on from ground up, various bathroom / kitchen remodels, and an exciting track home project we have in the works). 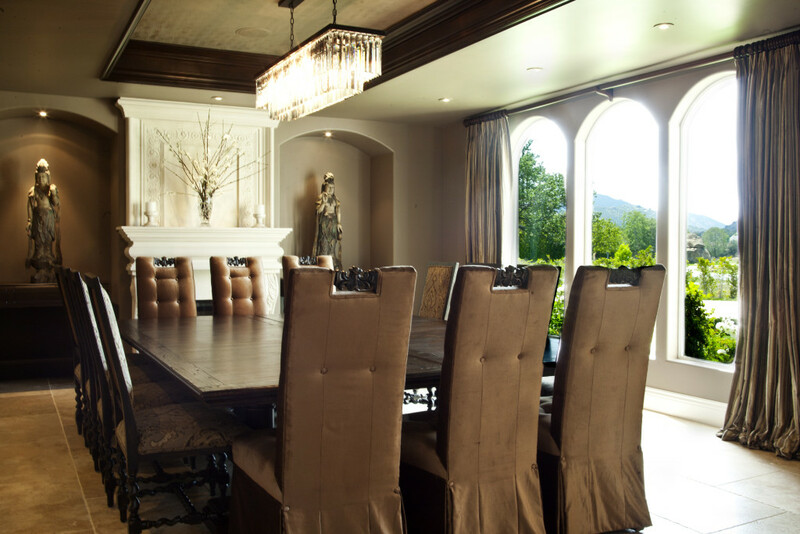 Possibly our favorite project can be seen in our post, Before and After: Monochromatic Mediterranean Dining Room. This home was not only the background for our Side by Side Design photo shoot, but we also got the opportunity to set this space up for an event. This really stays true to what we plan to focus on in the future of our business. Plus, we loved the design and how it came out! In the coming year, we plan to show you some other completed projects, finalize those we have in the works, and continue to take on challenges and exciting projects as they present themselves to us. Event Planning – As we have mentioned, here at Side by Side Design we have two “sides” to our business, Interior Design and at home events. Our mission is to work with a family to design their home making it fit their lifestyle and personal taste. When assisting these clients with their home event planning, we not only get to continue to work with them Side by Side but get to pull from the look of their home for inspiration. This was a total “yes year” for the “events” side of our business! We began by hosting a baby shower, a first birthday party, and a bachelorette party all for close family. By June, we were itching for a paid project. Not that we didn’t love every minute of getting to plan in whatever style we wanted, but we are sure you can relate to wanting to make a little money from all of that hard work. That’s when things turned around. We made a goal to have one paid project in the books before the end of the Summer and little did we know that we would have four (all during a two month span). Crazy! Taking on three weddings and our annual Halloween project was a little hectic, but we wouldn’t take it back for anything. We learned so much this year about ourselves as event planners, what we are capable of, and the types of events we want to take on in the future. Each event has been amazing and the type of clients we have been exposed to are incredible, but we only get to pick one. We selected the Camp Wedding as it was one of the largest challenges we faced this year. It was our first wedding of the year with three hundred guests in attendance. Other challenges included keeping the decor as green as possible and working with a couple who were three thousand miles away. In the end it went off without a hitch and we are very proud of the work we put in. We should say however that weddings are not our primary focus, nor do we intend for them to be in the future, but we do feel that they set the precedence in the event industry for the standard of difficulty and we feel that we have proven ourselves worthy. We look forward to further growing the events “side” of our business this year and working to fine tune our focus as event planners. 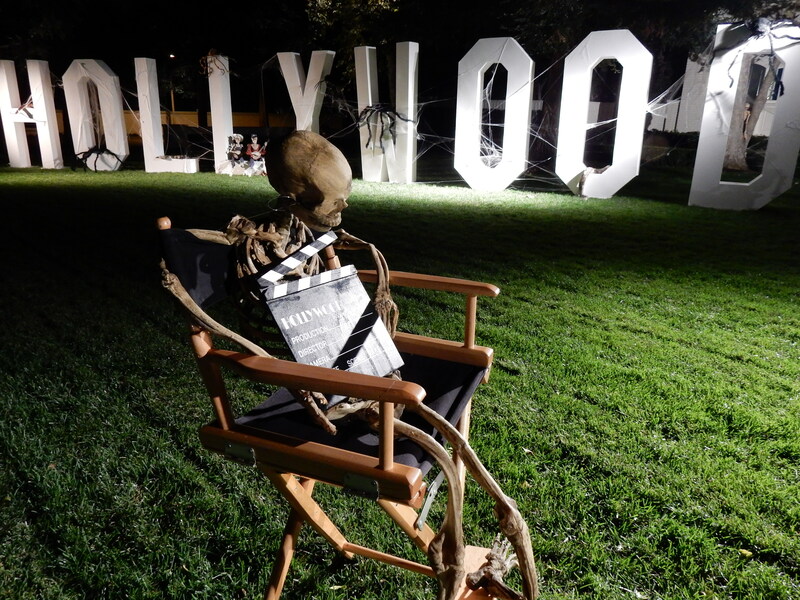 Holidays – As mentioned, we also got the opportunity to work on our annual Halloween decor project this year (as seen on our post: Haunted Hollywood). We love the theme we came up with and are already planning something new and exciting for next year. We are hoping to expand this section of our events “side” and would love to delve into helping clients with all of their holiday needs including; tablescape, home decor, festive food and treats, and gift wrap. DIY Projects – Although we have lots of amazing vendors we work Side by Side with, we have been known to create many things ourselves. Everything from flower arrangements, to gift wrap, to handmade invitations have been showcased on our blog. We enjoy putting a personal touch on each project and love doing so through handmade details. 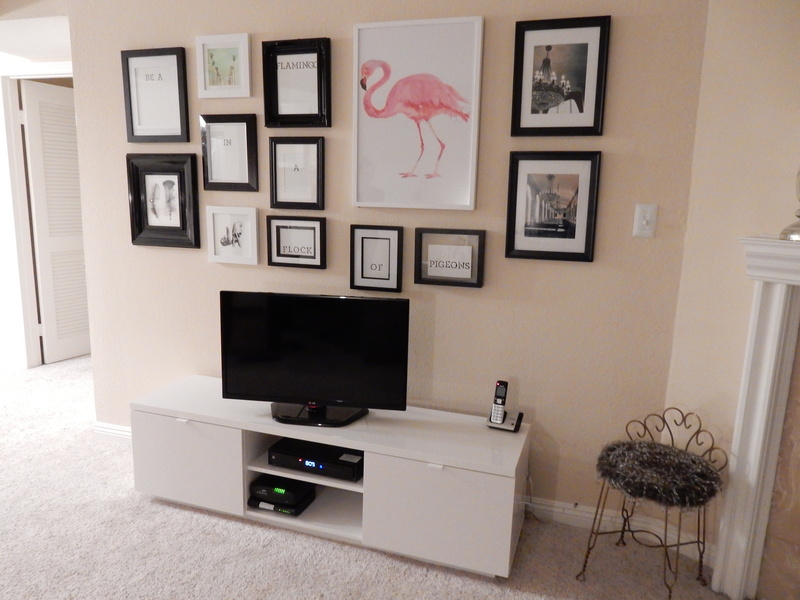 Our favorite of the past year was Tami’s gallery wall that she put together for her Parisian living room. She hand selected or made each piece of art and planned it out to a “T”. This year, we plan to continue to create new and innovative things while keeping our client’s styles in mind. Craft Club – Our Craft Club has taken many different turns this year. Along with one of our key members moving out of state, it has just been difficult to get everyone together on a monthly basis now that we have started another club. As a group, we have decided to put our Craft Club on hold while we focus our efforts on our new Cookbook Club and come together to craft when the need arises. This has however opened us up to a new way of thinking about “Craft Club” in general. As we know there are many of you out there who love to craft, we have found that it is now our job to encourage others and help as much as we can. We are working out the details and are very excited for the endless possibilities this opens up for our business. 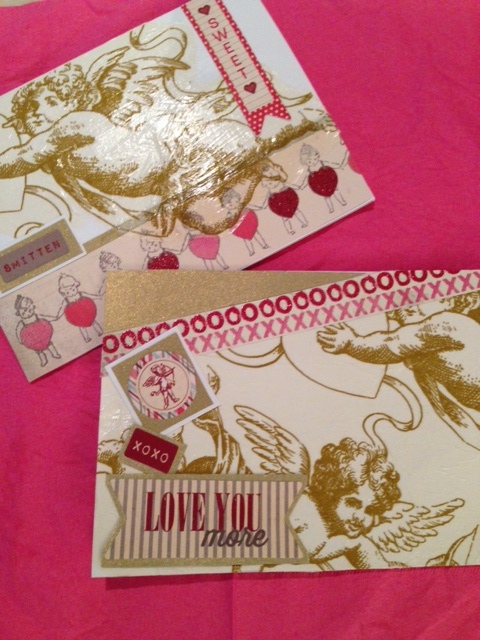 In honor of our Craft Club, we will take you back to our favorite project of the year, Craft Club: Valentine’s. It was so much fun to get together on this special day with the girls and make valentines for our loved ones. Guest Bloggers – Through our Guest Blogger posts, vendors, friends, and other creative individuals are given the opportunity to showcase their work or projects on our blog. Huge thanks go out to Darci, Paige, Mary, Katie, and Kayla for their amazing posts this year. The time and dedication they have put in is greatly appreciated. 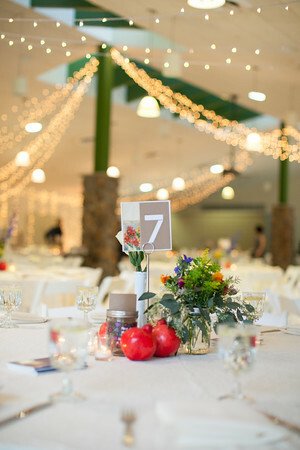 We loved them all, but were especially excited to share Kayla’s post, Guest Blogger: Styled Vintage Tea Party, as she is one of our most cherished event vendors and is super talented as well. This past year was a little lacking in the guest blogging department, we know. Our goal this year is to reach out to more creative individuals and post one Guest Blog post each month to provide variety on our blog and inspire our readers along the way. Let us know if you would like to be our next guest blogger. We would love to work with you Side by Side. Pining For Pinterest – Our Pining for Pinterest posts allow us an opportunity to dream a little bit while still staying true to our business model. 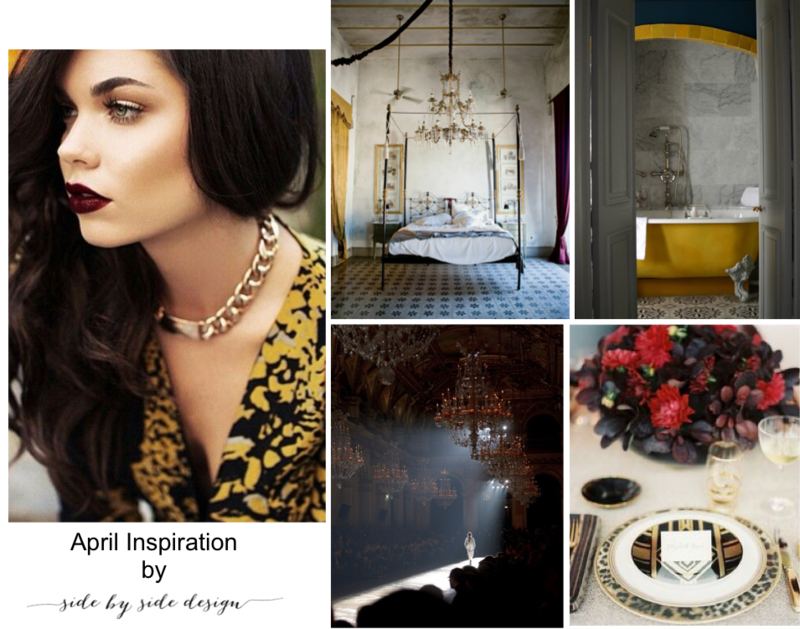 We love how we have reformatted this post this year by creating a mood board showing the entire look before breaking it down into individual pictures. Four times a year, we come up with our own individual looks (like these ones seen on our post Pining For Pinterest: Spring 2014). 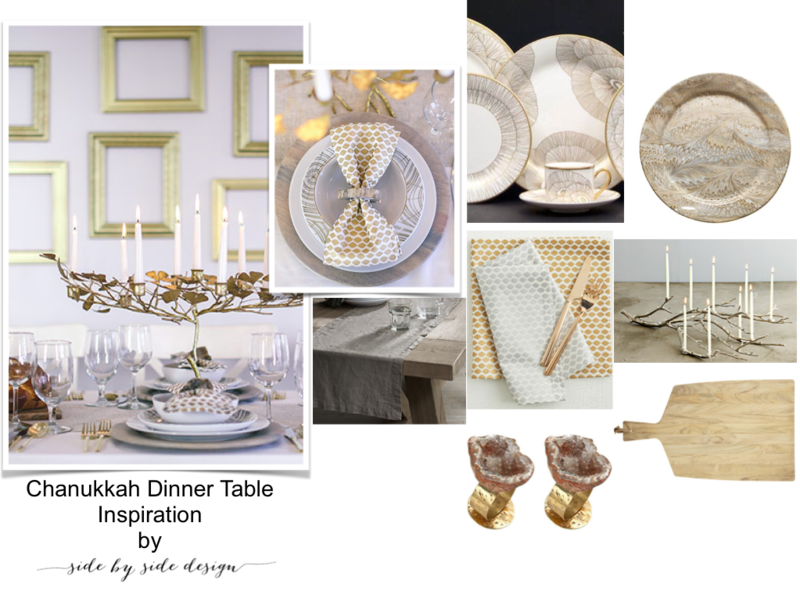 Each look showcases an event that works with an interior space and coordinates with the trends of the season. 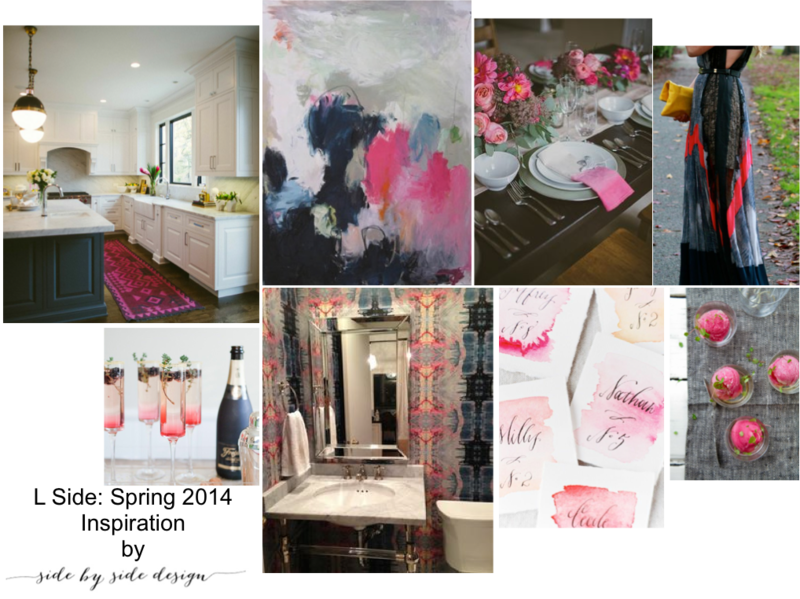 This particular post was our favorite this year as it incorporated some of our favorite trends of 2014; such as watercolor, wallpaper, and gold accents. By creating these boards, we are hoping to inspire those of you who are hosting parties in your near future or those looking to do something new with their home. Don’t worry we are just a quick email away if you need our help. Email us at info@sbsdesignla.com. Get Inspired – We enjoyed our new “Pining For Pinterest” posts so much that we decided to reformat our “Get Inspired” posts as well. 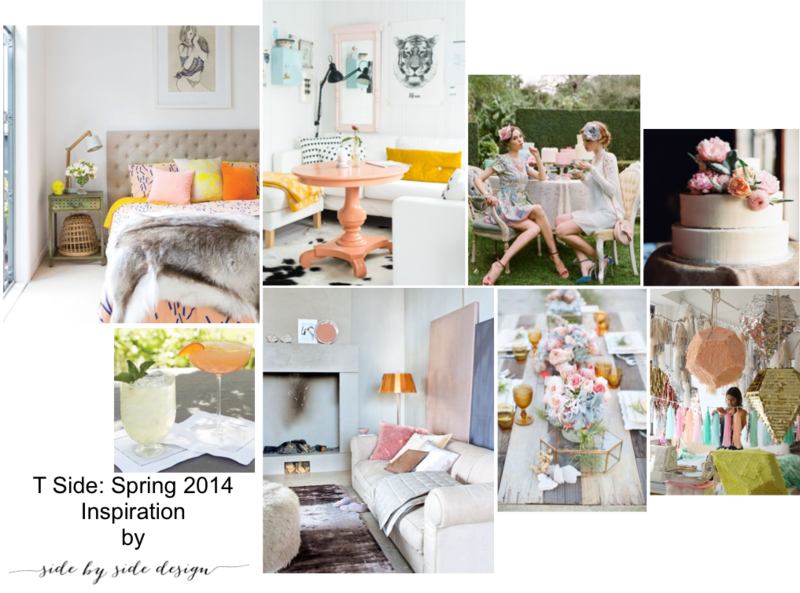 This series features each of our inspiration photos for the month ahead along with two interior photos that follow the same look and two coordinating event photos. It gives us a chance to post what’s inspiring us each month and give a preview of what’s to come as well as really let our readers into our lives. A personal favorite is our April inspiration (seen on our post Get Inspired: April) as it shows our excitement for our photo shoot that month and the overall look for our brand. We absolutely love writing this series and look forward to looking back each month on all that has been accomplished. Check back this Friday for all new January looks. Food Fridays – This year not only have we reformatted many of our post series, but we really have given a lot of thought as to the overall agenda of our blog. One thing we noticed was that our readers really enjoyed our food and recipe posts even though we did not feel these really represented who we are as a brand. We decided to post every Friday (instead of once a month) and to include these types of posts as bonuses at the end of the week. 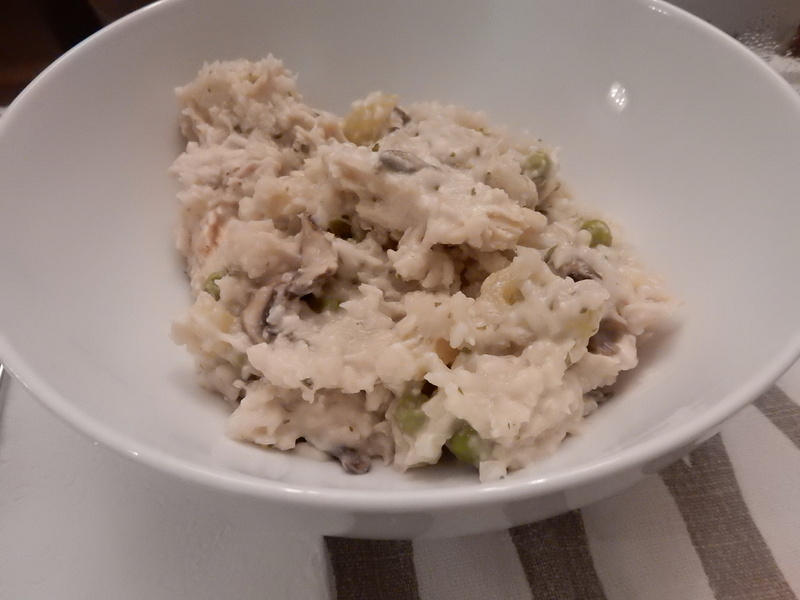 We now have several different features within our “Food Fridays” posts including “T Side / L Side” (where we show how we each have prepared a different recipe using one common ingredient), “Cooking Side by Side” (our shared attempts at making a meal), and our monthly “Cookbook Club” (written by the hostess of each month’s gathering). 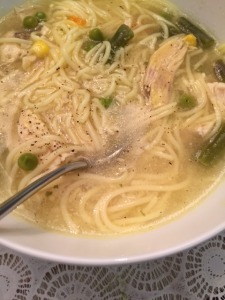 One post that sticks out is Cooking Side by Side: Healthy Eating in the New Year as we feel that it is completely relevant right now and is definitely on our list of things to make again in the near future. We plan to continue to invite you into our kitchens on a regular basis and encourage you to take these recipes home with you. Cookbook Club: What can we say about our Cookbook Club besides that we loooove it! Once a month, we get to get together with a group of girls and select one recipe out of the preselected cookbook or cooking magazine for that month to try out. It’s basically a glorified potluck but with more pride in our dishes (and wine, of course!). The girls do a great job hosting by setting up their tables beautifully and following up the night with a written account of the event and their planning process. We have included this monthly post in our “Food Fridays” series and can’t wait to continue this tradition. 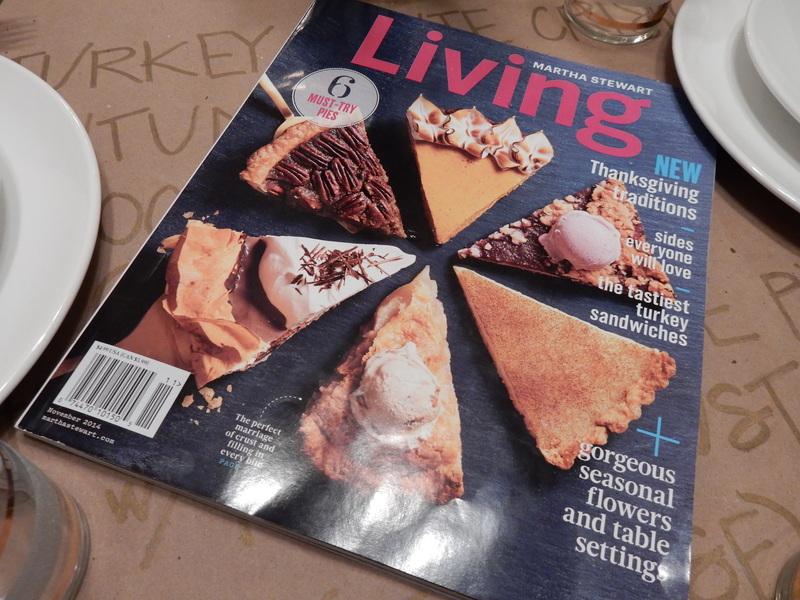 This particular image comes from our November club meeting at Tami’s place (as seen on our post, Cookbook Club: Martha Stewart Living). We had fun making non-traditional Thanksgiving inspired dishes, and Tami enjoyed showing off her place for the first time. 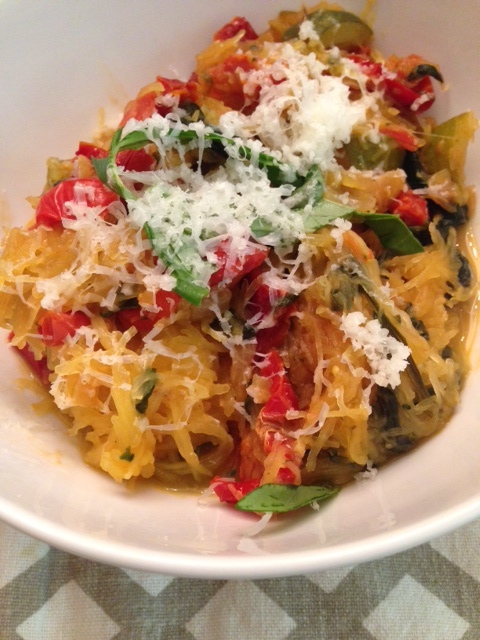 We look forward to meeting at Kathryn’s home in January and creating dishes from the January edition of Cooking Light! Overall, this truly was a huge year for Side by Side Design! Last year at this time, we made resolutions to give our readers another year of exciting posts, expand upon our business clientele, and launch our new website. We are so very proud to say that we have accomplished all of these things and then some. We can add to this list creating a look for our brand, designing our business cards, and even putting together a really special photo shoot so that the photos on our new website match the quality of the site itself. If 2014 brought all of this … who knows what 2015 will bring! Continue to grow the amount of readers who visit our blog every week inspiring them along the way. Work on acquiring reader feedback so that we can tailor our blog posts accordingly. Tailor our design business to fit our website’s mission statement. Continue saying “yes” but with more of a focus. Put some of our ideas in to action in order to take our business to the next level. In addition, we plan to Create . Coordinate . Collaborate in order to provide you with a full year of exciting blog posts in 2015. Our reader’s feedback truly means so much to us and allows us to continue doing what we love to do. Please take a minute to let us know your thoughts. What kinds of resolutions do you have for us? What are your favorite types of posts? What would you like to see more of in 2015? What can we add to enhance your reading experience? Any constructive criticism is welcome as well. Just push the message icon below … it’s super easy. Or if you just really “like” us a lot, you can click the heart. Your comments are greatly appreciated and will be taken very seriously. Happy New Year from Side by Side Design! With the holidays and both of us taking trips at the end of this week, we decided that it is time for a little break and some much needed re-evaluation. We will be back on December 31st with one our most reflective posts of the year, our New Years Resolutions post. We will share highlights from the past year (What a crazy one it has been!) and how we plan to move forward in 2015. Happy Holidays from Side by Side Design! It’s Winter! Time for warm, hearty, comfort meals. In fact, it’s time to break your crock pot out of the cabinet (if you haven’t done so already). Today, we would like to share four delicious recipes we have tried using the crock pot Lauren received last year for her birthday. Besides each dish being made in the same vessel they all have another thing in common. 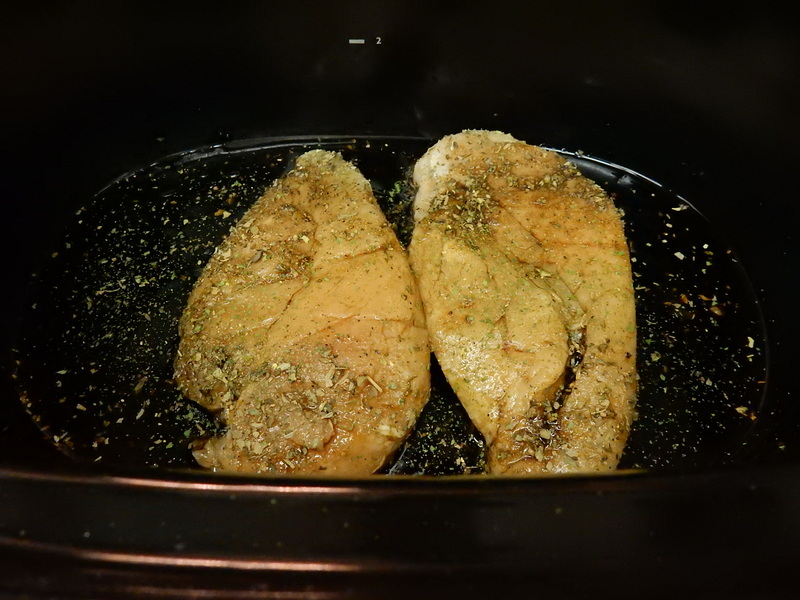 They all include chicken as their main ingredient and make for a nice full meal for any family. 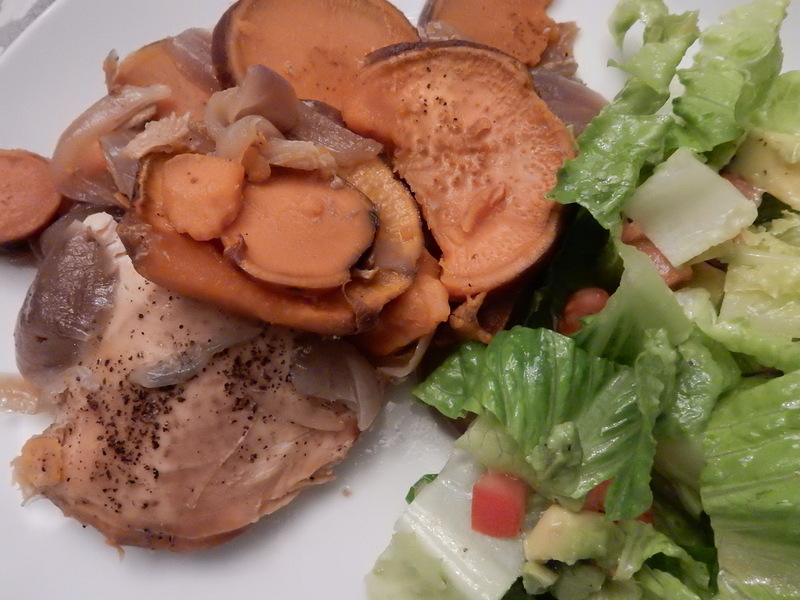 This recipe includes three delicious main ingredients; brown sugar, sweet potato, and chicken (of course). The website from which we found it mentioned that it “feeds two and a couple of kiddos”. This was true … there was definitely enough to go around, and Ava loved it! 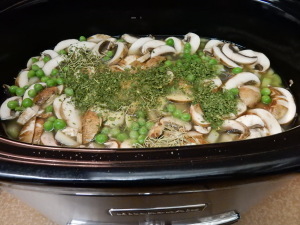 This recipe included some of our favorite veggies; celery, peas, and mushrooms. 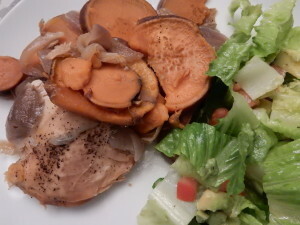 We happened to double the recipe, thinking that it would make for some good leftovers. However, it turned out that the original recipe was already plenty to go around. 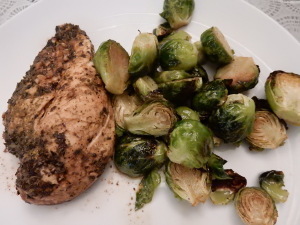 This balsamic chicken and brussel sprouts dish was delicious! To create our version you must follow the two links below. One for the chicken and the other to add some green. Why not make chicken soup? Can you think of anything more comforting on a cold Winter day? Place in crock pot; 10 cups of water, a package of chicken breast fillets, 10 teaspoons of chicken consomme, and ground turmeric to taste for 5 hours total. 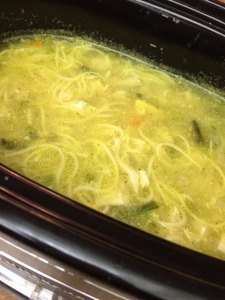 In the last 2 hours, add raw angel hair pasta and frozen vegetables and let cook. We hope you have liked this edition of our weekly Food Fridays post. Sharing these recipes helps us to think outside the box and try new things when cooking at home, and we love that we get that opportunity. 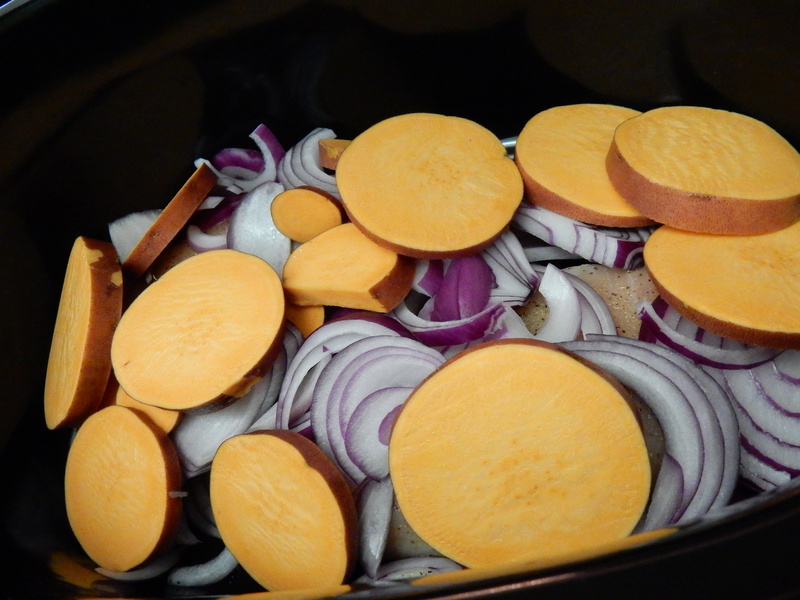 We have been enjoying using our new crok pot, and anticipate having the desire to try new recipes soon. So, in order to plan ahead, we ask this question: What is your favorite thing to make in your crock pot? Do you have a favorite recipe to share? We would love to hear from you! Feel free to post a comment below or share your thoughts and recipes with us through email at info@sbsdesignla.com. 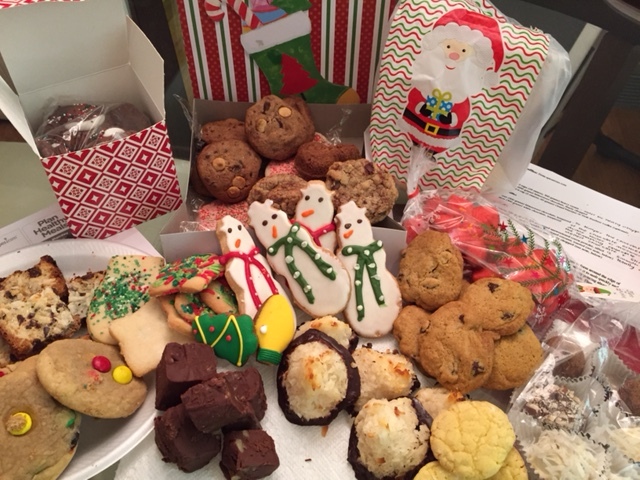 Last year we had the opportunity to experience our first cookie exchange, and we thoroughly enjoyed ourselves. That is why, when Lauren was invited to another cookie exchange party this year, she jumped at the chance. Last year’s concept was simple … Each girl was to make a platter of cookies (any kind) and bring them to the party. Then we all chose the ones we wanted and created a bag full to take home. This year, Lauren was invited to a whole new type of event. It was a much more structured exchange geared towards the moms in her “mommy group” who surely do not have enough time in their busy day to try out tons of cookie recipes. Again, each girl was asked to bring their own platter of cookies (any kind) packaged for each mom to take home the same amount. 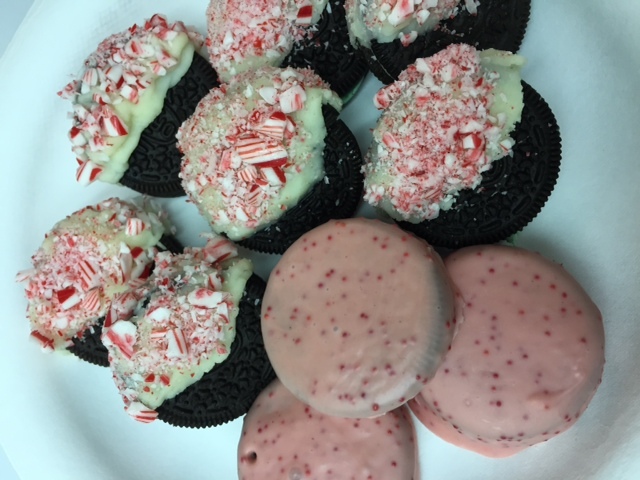 Lauren made dipped Oreos and tried out two different recipes. 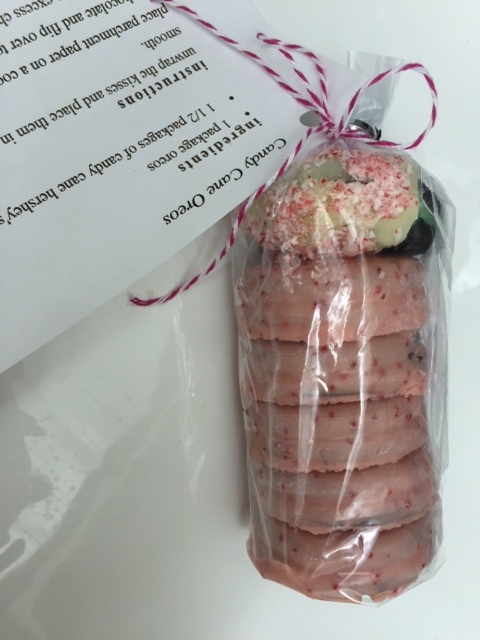 Each package included five Oreos dipped in melted Candy Cane Kisses and one half dipped in white chocolate with Candy Cane crumbs. She tied them off with a bit of twine and a printed recipe. In the end this table held 1,350 cookies. 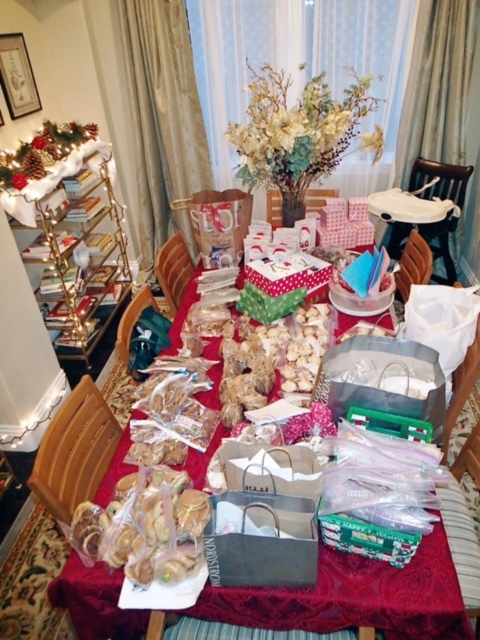 If you want to break it down … that’s 16 girls, 90 cookies each, and a whole lot of sugar and flour! Each mom got to take home a half dozen of each kind to use in any way they see fit this holiday season. Lauren was really impressed with the effort all of the moms put in. Some cookies were downright gorgeous, some packaged to perfection, and others mouthwateringly delicious! It was a really nice event as well. It gave the moms a chance to catch up, spend time with the little ones, and munch on some fun appetizers and snacks. They even found time to pose for a photo. These cookies truly are the gift that keep giving! Now that each guest has brought their loot home, they can repackage them and give to party hosts, co-workers, family, and friends. We made more of the dipped Oreos and packaged them along with some of the other variety for gifts this holiday season. Why not try hosting your own cookie exchange next year? Tomorrow is officially the first night of Chanukkah, and although we have lots planned, we do not have any plans to host in our own homes. Of course, we have been busy wrapping gifts and have still chosen to decorate for the holidays, but that hasn’t stopped us from wanting to dream even bigger. 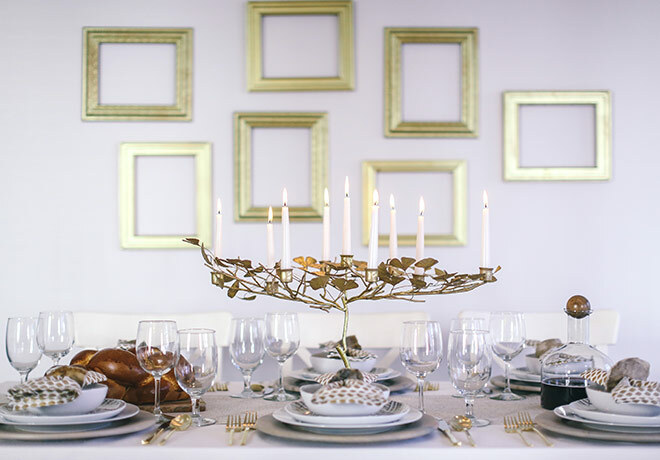 We decided to create a fictitious home dinner party in honor of Chanukkah to show our process and give you a few buying tips for a project like this (if you were to take it on for real). 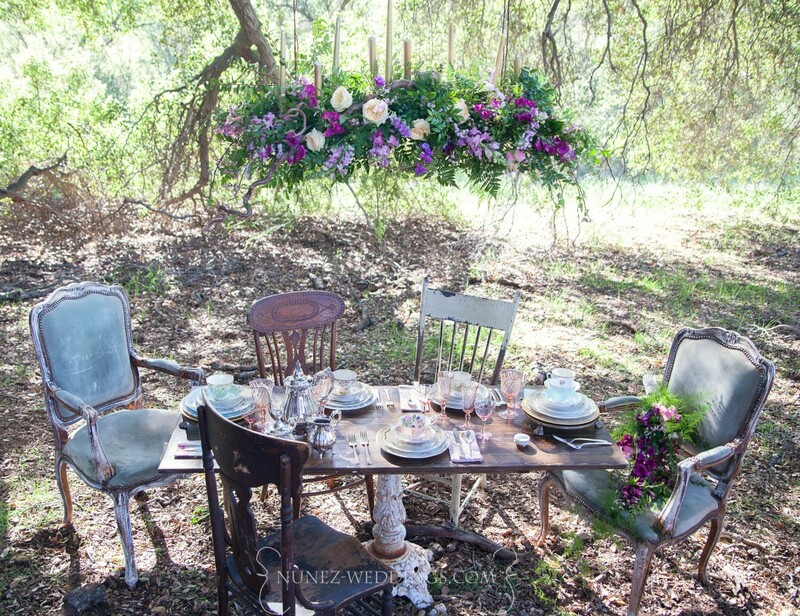 This inspiration photo expresses how we envision the finished event. We love this photo for its unique look. There are so many fun details yet it looks effortless. Begin with a simple linen runner like this Restoration Hardware option. In order to achieve a table set up like this you must have the right serving ware. Create a mix of pattern and texture in an unexpected way. This Pickard china is a great option for pattern in a neutral color scheme. Marbleized chargers from Bloomingdale’s in the same color story adds more interest. 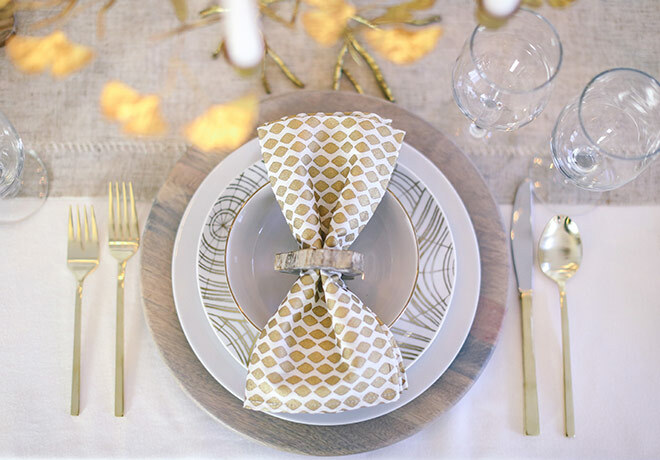 We love these West Elm cloth napkins as well as their beyond gorgeous silverware (more like “goldware”). Finish off the look with geode napkin rings. 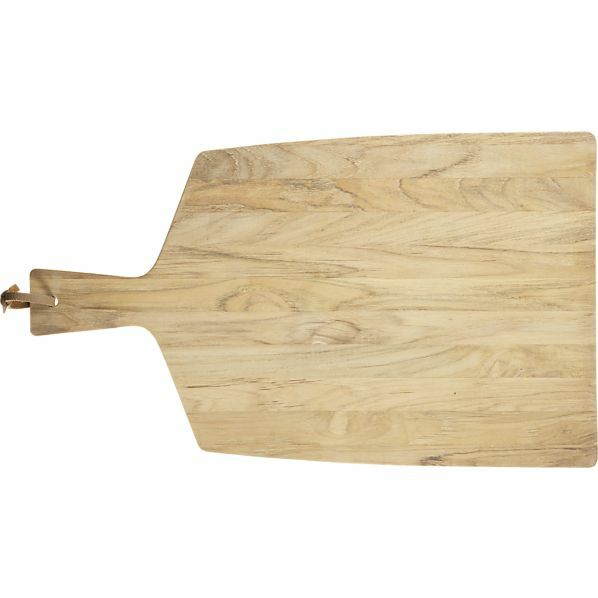 A natural wood cutting board is a nice balance with all of the many glamorous details on your table and a fun way to serve up those latkes! Of course, you can’t have Chanukkah without eight shining lights. This West Elm chanukkiyah is the perfect finishing touch. Although this dinner party was completely made up, it is absolutely possible to make this beautiful tablescape a reality. In fact, if we spur of the moment decide to host one of the eight nights we already have a plan in place. As always, feel free to leave a comment below or fill out our client inquiry form (on the contact page of our website) if you have any questions or are in need of some design assistance. Wishing you all a Happy Chanukkah from Side by Side Design!